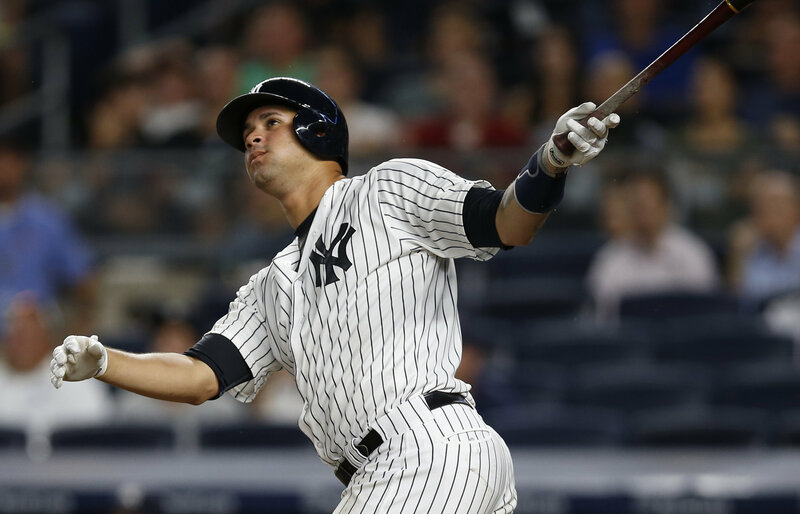 A great way to start a snowy and cold Saturday morning but with a big of good news regarding one of the Yankees former top prospects and best players on the team, Gary Sanchez. As if his historic 2016 season which should have ended with a 2016 AL Rookie of the Year Award wasn’t historic enough he has now one more milestone and plaque to add to his rookie mantle, the 2016 Thurman Munson Award. Sanchez finished the first month of his rookie campaign with a .389/.458/.832/1.290 quad slash with 11 home runs before cooling just a bit towards the end of the season. Sanchez was the quickest rookie ever to hit 20 home runs in a season and will now join New York Giants wide receiver Victor Cruz and New York Mets infielder Wilmer Flores as the trio are all honored for their work and inspiration both on and off the field. Congratulations to Sanchez, Flores and Cruz. The New York athletes will be acknowledged at the 37th annual Munson dinner on February 7th in New York. The benefit and event will raise funds to support the AHRC New York City Foundation which supports programs for children and adults who have intellectual and development disabilities in New York City.